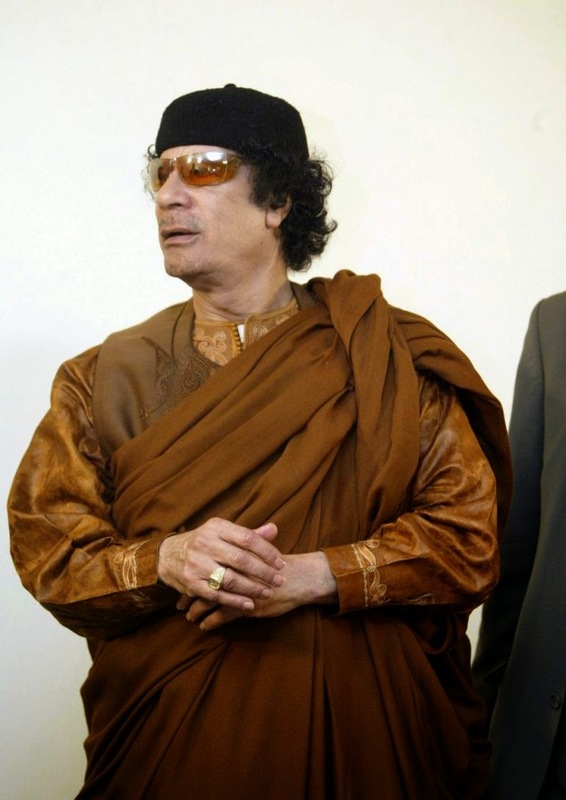 Africason | African School | Africa son | History | Black Consciousness | Education: Last Message From Muammar Gaddafi. I, Muammar bin Mohammad bin Abdussalam bin Humayd bin Abu Manyar bin Humayd bin Nayil al Fuhsi Gaddafi, do swear that there is no other God but Allah and that Mohammad is God’s Prophet, peace be upon him. I pledge that I will die as a Muslim. Should I be killed, I would like to be buried according to Muslim rituals, in the clothes I was wearing at the time of my death and my body unwashed, in the cemetery of Sirte, next to my family and relatives. I would like that my family, especially the women and children, be treated well after my death. The Libyan people must protect our cultural identity, our achievements, our history and the honorable lineage of our ancestors and heroes. The Libyan people must not permit themselves to be subjugated under foreign rule and they must remember the sacrifices of the martyrs who have fought and died for our freedom. Do not let their sacrifice be in vain. I call on the people of Libya to continue the resistance and fight any foreign aggressor that moves against Libya, today, tomorrow and forever. Let the people of the world know that we could have compromised our sovereignty and freedom but we chose instead to resist the foreign invaders, the mercenaries, the traitors, the terrorists and murderers. It was our duty and honor to defend our great nation. Even if we do not win immediately, we will triumph in the end, and by our example, offer a lesson to the world and future generations that choosing to protect the nation is an honor and selling it out is the greatest betrayal, a betrayal that history will remember forever, despite the attempts of the deceivers to tell you otherwise.